Wireless cameras are not new. In fact, they date back to the 1970s. But its only been in the last ten years that this technology has really blossomed, with engineers working out how to adapt the digital terrestrial transmission technology so that it can be used efficiently for programme-making. From that tipping point we have truly begun to see wireless cameras move into places that other technologies cannot reach. The big advantage of digital wireless camera systems over their analogue predecessors, of course, is that they do not require a line-of-sight connection between the transmitter and the receiver. Signals can be reflected off walls and error correction algorithms and modulation settings ensure the best possible picture quality and stability is achieved even if the camera is hurtling down a luge track or flying high in a helicopter. Current day working examples of this could be seen at the recent Winter Olympics in Sochi. Integrated Microwave Technologies, part of the Vitec Groups Videocom Division, supplied 30 Nucomm CamPac2 wireless camera systems (CP2) for coverage of various events. 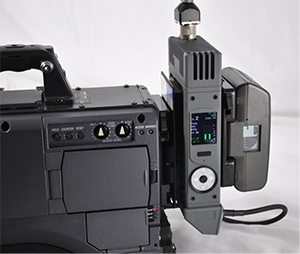 The system comprised a CP2 camera-mounted transmitter and Newscaster DR2 diversity receiver, Sonys RPS (Remote Paint System) camera control and a digital voice intercom package. The CP2 is a tri-band-capable unit that operates in the unlicensed 5.8-GHz band - as well as licensed 7.1-7.75 GHz bands - without the need for any hardware changes. The RPS Camera Control for Sony cameras provides real-time control of all critical parameters available within the panel or cameras feature set, just as if it were hard-wired together. 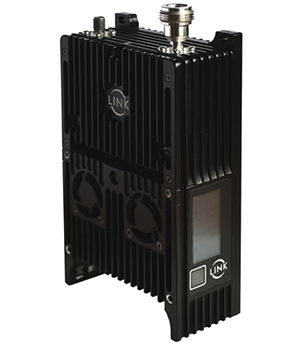 On a similar theme, Broadcast RF used Vislinks Link L1700 transmitters, launched at IBC last year, for The Jump, a show for Channel 4 that saw 12 celebrities perform winter sports ahead of the Winter Olympics. Broadcasts RF's Helmet Camera System, which consisted of a discreet head camera, plus a transmitter and batteries mounted in a backpack, was deployed on bobsleigh and speed skating events amongst other things. Its not just sport where wireless cameras play a huge role. News is a big user particularly for field transmission while technology like Boxx TVs Meridian system, designed for high quality, zero delay, short range transmissions, can be used for all sorts of shows where multiple cameras need to move freely across large areas. Reality TV is a great example. Wireless technology isnt just used for sending pictures. It is also used to control functions on different bits of kit - including lenses and follow focus systems or to send information to a camera, using a tablet or smartphone, to add metadata. As an example, P2 files captured onto Panasonic cameras like the AJ-HPX3100G and the AG-HPX600 can have the recording time, GPS position, text information and memos tagged to selected frames. This is done using the AJ-WM30 Wireless Module and a Upgrade Software Key. Sony has a wireless metadata development of its own. The XMPilot Planning Metadata system uses a compact Wi-Fi module to stream proxy-quality video and audio, as it is captured, to a dedicated application on a laptop computer or smartphone, allowing a director, location producer, AP or whoever to record, log and add metadata. So, thats now. Where next? 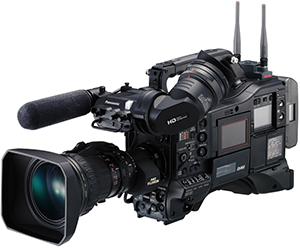 As far as wireless innovations at NAB 2014 are concerned, a rudimentary trawl of internet forums will tell you to expect a relatively inexpensive wireless 6G-SDI 4K transmitter/receiver from Blackmagic Design and various wireless follow focus systems, in particular from Matthews and Tilta. Also at NAB you should be able to check out a recent firmware update for the Canon EOS500 camera, available using the optional Canon WFT-E6 Wireless File Transmitter. 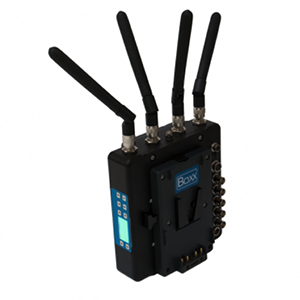 This application allows up to two users to access the same unit via a Wi-Fi link, therefore providing simultaneous and independent control of camera operation and metadata input. Still in Vegas, RF specialist Cobham will show Nano HDTX, a product that the company describes as the worlds smallest wireless HD transmitter, plus a new receiver platform. 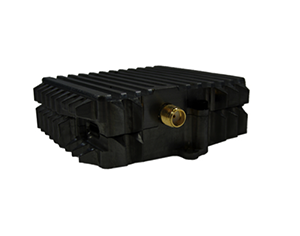 The tiny Nano HDTX is an HD digital video transmitter designed specifically for POV and body-worn applications. With Cobham COFDM and H.264 encoding technology at its core, the transmitter supports composite, SDI, HD-SDI and HDMI video input formats. Cobham suggests that its small size and ultra-low power consumption makes Nano HDTX ideal for unmanned aerial vehicle applications. Finally, back to Panasonic. 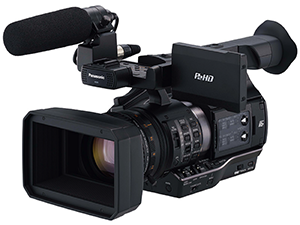 The manufacturer will show a new P2 HD handheld camcorder at NAB complete with AVC-ULTRA recording and wireless workflow features. The AJ-PX270 allows proxy video to be automatically uploaded to the cloud and is compatible with a planned cloud workflow (that is still to be announced). A wireless LAN function is available via an optional dongle that supports existing Panasonic live uplink solutions. Dongle support for wireless workflow over a mobile 3G/4G/LTE network is also scheduled. According to Panasonic, by accessing these wireless features PX270 operators can easily uplink low-bit rate proxy data and full-quality broadcast content. Ideal for newsgathering, its this kind of development that can accelerate the broadcast workflow from shooting to on-air. There will be countless more of course. From uplink to lens control, wireless technology is now securely connected to whole swathes of the TV industry. Dont expect anyone to be cutting that particular cord any time soon.